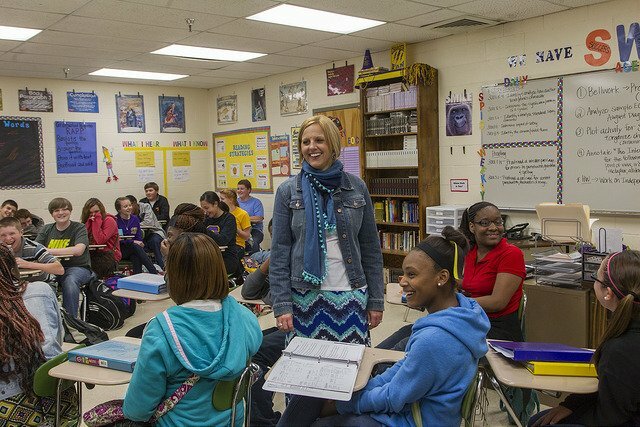 In Tennessee, efforts to ensure today’s students are ready for the workforce of tomorrow have been on the rise as seen in education reforms and several new education initiatives. Chattanooga has been at the forefront of this shift, thanks to a conversation started four years ago by school leaders, community organizations, and local businesses. In 2015, a report was published citing that an estimated 80 percent of living-wage jobs in Hamilton County will require a two-year or four-year degree or some type of technical credential by 2025. The report also brought to light the statistic that only 38 percent of citizens met that requirement at that time. Understandably, over 3,700 Chattanoogans spoke up in concern regarding the lack of skilled workers available to fill incoming jobs in Hamilton County. In response to this feedback, the Chattanooga 2.0 coalition was formed. Similar to SCORE’s focus area on reimagining college and career readiness, the coalition’s two bold goals are to double the number of degrees and certificates awarded to high school graduates and increase the percentage of adults with a college degree or certificate in Hamilton County. Chattanooga 2.0 is a coalition centered around ten cradle-through-career priority areas as voiced by our community members. Over 150 organizations continually come together to work on these priorities, which as a whole, assist in establishing local talent pipelines and bridging the gap between our classrooms and workforce needs of employers. The coalition serves as a catalyst and central voice for postsecondary work happening throughout the community. And while we set the bar for postsecondary attainment, the collective impact of our members is truly the driving force behind several initiatives in Hamilton County that are changing the culture and future of the workforce. Since the inception of Chattanooga 2.0, Hamilton County Schools (HCS) has been an avid supporter of the coalition’s work and motivated by the concerns identified by the community. Dr. Bryan Johnson, HCS superintendent, continues to be instrumental in our work to provide high school classrooms with postsecondary opportunities and career experiences. In his first two years on the job, Dr. Johnson implemented several innovative programs including allocating resources to allow for career exploration by the HCS eighth-graders. Through a partnership with HCS and other stakeholders, the coalition helped launch the Future Ready Institutes in 2018. These specific career-themed institutes, located in 13 traditional public high schools, thrive as a result of their close partnerships with area businesses and a curriculum utilizing a project-based learning model. The Chattanooga Chamber of Commerce is leading progress made toward the community’s workforce goals by doubling down on its efforts to communicate to schools the skills most desired by businesses. Our postsecondary institution coalition members are also playing an important role in providing our students with tools for success. Through outlined pathways between Chattanooga State Community College and The University of Tennessee Chattanooga, students are able to easily navigate from a two-year institution to a four-year institution within their own community. The Tennessee College of Applied Technology (TCAT) at Chattanooga State is preparing students for success within their industry– an impressive 90 percent of TCAT graduates are expected to find a job within their field of study. Along the way, Chattanooga 2.0 has helped to develop some of these programs that fill a critical workforce need within the community. Sometimes, however, there are much smaller barriers to college completion and accessing a living-wage job for our residents. Chattanooga State Community College created the Community Market, which includes the Helping Hands emergency fund for those students struggling with unexpected life expenses, and the Career Clothing connection. Similarly, both Chattanooga State and The University of Tennessee at Chattanooga have created food pantries to provide students access to food during emergency or gap measures. No one organization is responsible for improving education and the postsecondary landscape. The formation of our coalition brought everyone to the table, but the progress made to date is attributable to the collective hard work of our coalition members and their dedication to our common agenda. Collectively, we are building the smartest community in the south by discovering what prevents our citizens from attaining a postsecondary education, removing those barriers, and creating new and exciting pathways. Only together can we reimagine the future of our workforce and provide better opportunities for generations to come. Jennifer Andrews is the program & engagement manager for Chattanooga 2.0, a community-led movement to transform education and workforce opportunities in Hamilton County.